Popular plugins such as Adobe Flash and Java seem to be the most popular to attack right now as new versions come out almost every month to fix vulnerabilities. Making sure the latest version is installed and running is time consuming and often near impossible to keep up with. Some vendors are getting a little smarter including an automatic updating feature with their app but they seem to suffer for poor reliability and notification of when an update is available. 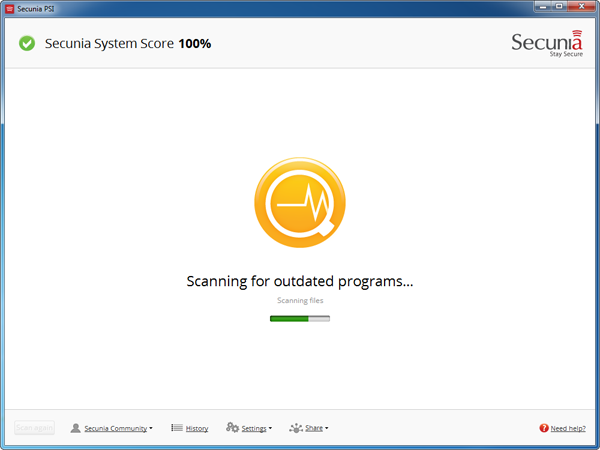 The solution is to use Secunia Personal Software Inspector (PSI) that will scan all of the third-party apps on your PC for known vulnerabilities and outdated versions. If a new version is available you have the option install it manually or configure automatic updates. When installing make sure you check the box to Install updates automatically. Then just scan your PC and outdated programs with security exploits will be identified and updated automatically or instructions will be provided to manually update apps that do not support the auto update feature of Secunia PSI.